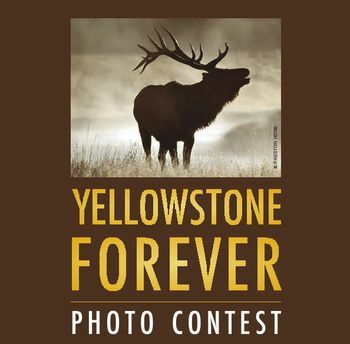 Copyright: You own the rights to your photos but grant Yellowstone Park Foundation and Nature’s Best Photography a non-exclusive license to your photos ONLY for uses related to the contest. WILDLIFE: Wild animals (mammals, birds, reptiles, amphibians, fish, etc.) including portraits, behavior, predation, and adults with young. Photos of captive animals ARE NOT accepted. LANDSCAPES: Dramatic waterfalls, erupting geysers, expansive mountain views, and the many thermal features of Yellowstone. Plant life (flowers, trees, and other flora) close-ups, wide-open vistas, storms, sunrises, and sunsets. Grants and awards will be sent after the final selection of winners has been made in spring of 2017. Winning images will also be featured in a cover story of the next Spring/ Summer issue of Nature’s Best Photography magazine, displayed in an exhibition at the Old Faithful Haynes Photo Shop in Yellowstone National Park, and will appear in online galleries and multimedia presentations. Judging criteria: technical quality, originality, artistic merit, and overall appeal. All photos MUST BE taken within the official boundaries of Yellowstone National Park. Online submission of digital photographs via the website.